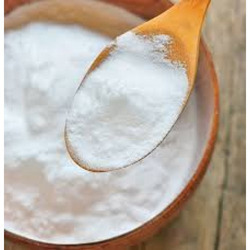 Our Team of production and quality have worked diligent to make Common Salt the prime product of the organization., Their efforts have made a great impact in the steady growth of domestic and international markets. We are one of the best packaging units with cosmetics and sturdy packaging materials used in the industry. We take pleasure in introducing ourselves as leading firm by offering Common Salt (Common Table Salt). We are supplier and exporter of Salt in Italy, China, Egypt, France, Dubai, South Africa, Germany, America, Japan, uzbekistan, Russia, South Korea, England, Australia, West Indies, Zimbavae, Bangladesh, Spain and all over the world.We Can offer all kinds of Sea Salts through our alliance partners in retail/Bulk packing. With an impressive growth record in this highly competitive industry, we are providing a qualitative range of Common Salt. We are engaged in the exporting and supplying of a wide range of Common Salt which is reckoned for its wholesomeness, purity and richness. The Common Salt is procured from the reliable vendors and processed in such manner that remains free from impurities and dust. The Common Salt offered by us is free from additives and hygienically refined. We provide good quality Common Salt. Salt is exported in the form of Common Salt, Free Flow Salt, Powder Salt and Cut Salt to satisfy the specific requirements across different markets. Special care is undertaken in packaging the salt such that it does not get destroyed by moisture during export. Salt exported by us only have the good additives and is ensured free from arsenic, copper, mercury, lead and cadium. We are involved in offering excellent quality Common Salt to our most valued clients. 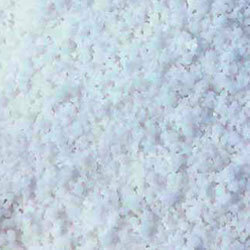 Our offered Common Salt is widely appreciated by our clients which are situated all round the nation. Our quality controllers ensure that the range is stringently tested on various parameters before it gets delivered to the clients. These are available at competitive prices in the market. leveraging on our rich vendor base, we have been able to supply premium quality common salt to clients. The common salt we deal with is sourced from vendors based across Andhra, Tuticorin, and Gujarat. These are widely used in various industries, water softeners, and earthing purposes.